If you have a router at home or your office, you will need to forward ports in order for outside traffic to get into your network. Think of your router as being a huge electric fence or wall, with a few doors or openings. This electric fence or wall serves as your barrier and security blanket from the scary outside Internet world. Your router comes preconfigured with a few of those doors (or ports) open to let you access the internet, but the others are closed tight. So, in order to run a mail server, game server, access your computer remotely, etc you will need to open an extra door or two in your router in order for the outside traffic to get inside. This is called Port Forwarding. 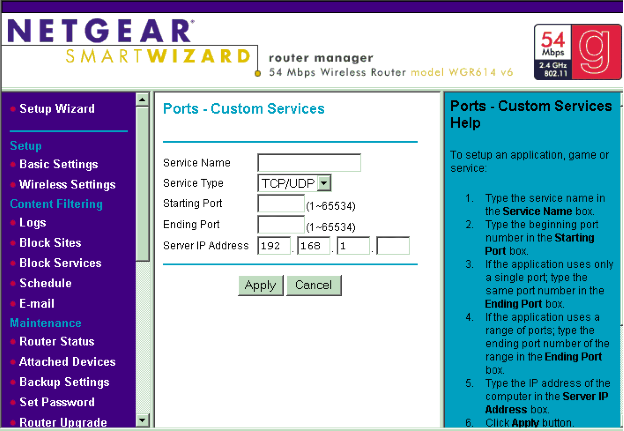 Step 1: Login to your router via the default gateway address. 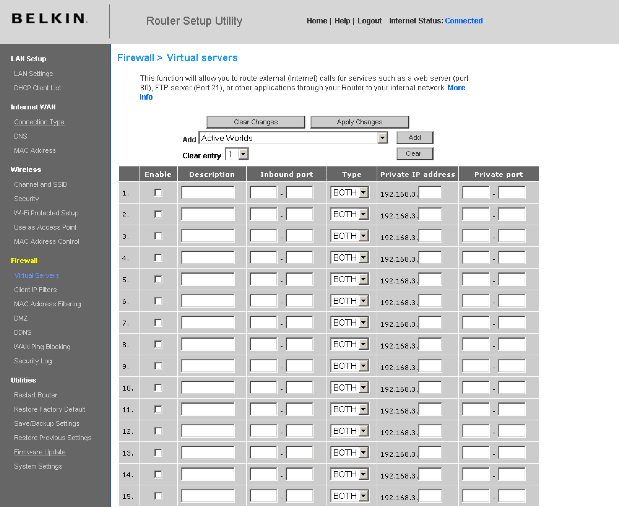 Step 2: Enter your router credentials into the login page. Please Note: Your router credentials should be on a sticker on the bottom of your router. If not, you can see the most common credentials below. 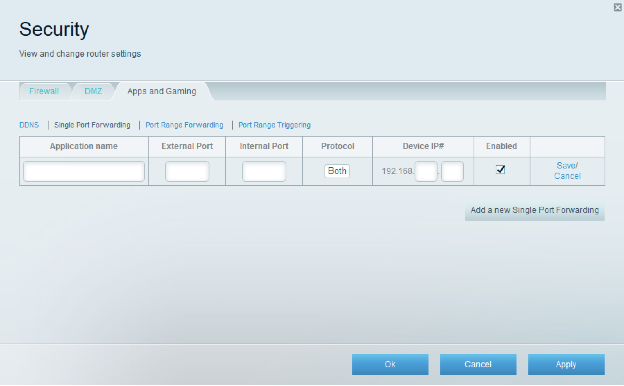 Step 3: Next, locate the port forwarding settings. 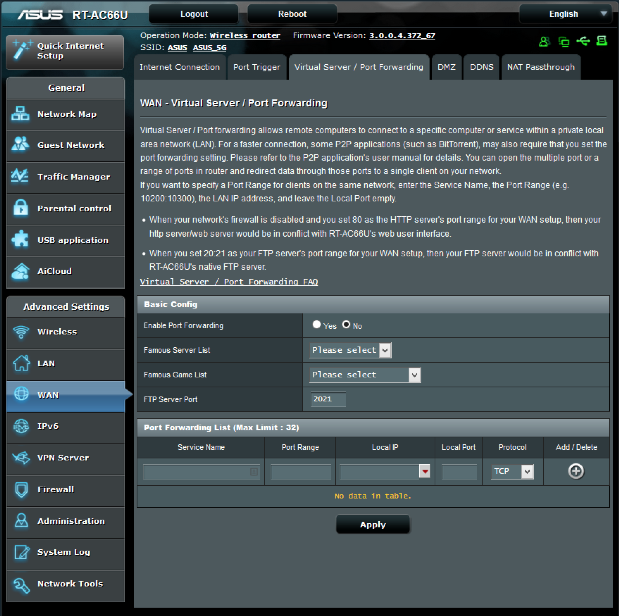 Typically this will be under Advanced and then Port Forwarding or Virtual Server. 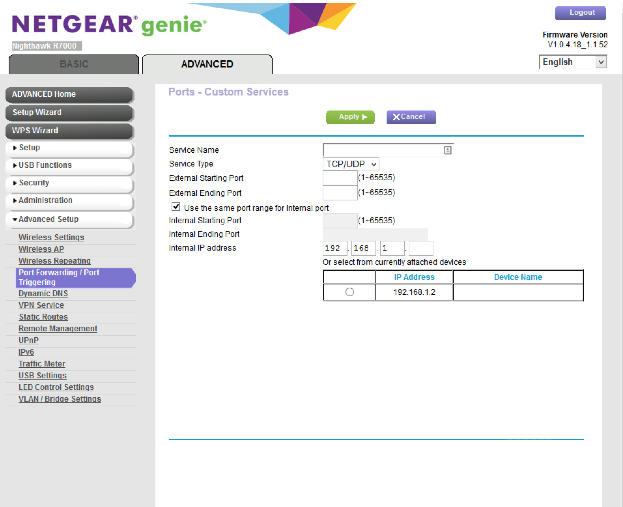 Step 4: On the Port Forwarding page enter in a name for your device like, “Camera”. Then enter the port you are forwarding in the port field. Select “TCP/UDP” or “Both” under Protocol if you are unsure which protocol you are using. Next, enter the internal IP address of the device you are port forwarding to and click “Apply” or “Save” to store the changes. Step 5: Finally, check to see if the port is open by going to www.portchecktool.com. Enter the port number you have forwarded and click “Check Your Port”. You should now be able to connect to your device via a web browser. Simply enter your hostname followed by the port number into the address bar. For example http://hostname.ddns.net:8000. Please Note: If you are using a mobile application, you will simply need to use your hostname to connect. The application should already specify the port when attempting to connect. Below you will see interfaces from the 4 most popular manufacturers. Be aware that your router may display a different interface. If you have any questions or are unsure what to do, we recommend finding a guide that provides more information.